Physical activity is essential for everyone to stay healthy and happy. For many seniors, however, age brings with it decreased activity levels. Finding creative and simple ways that they can get more physical activity will help your elderly parent maintain better mental, emotional, and physical health as they age in place. Window shop. Stores this time of year are bursting with fun things to see. As the seasons start to change stores still have their summery items on display, but are also beginning to offer fall-related items as well. This makes for fantastic window shopping. Bring your loved one to a mall or large department store where you can enjoy the air conditioning and spend some time walking around seeing what is available. This is a great chance for you to get their body moving while also stimulating their mind. Explore the neighborhood. Your parent likely does not have to go far from home to find new things to see, smell, and hear. Every day explore a new part of the neighborhood as you enjoy an evening walk together. Start by choosing which direction you will walk after leaving their home and then changing directions or turns each evening to keep things interesting. Dance together. Dancing is frequently touted as the best form of exercise and activity for all ages, but particularly elderly adults. Dancing gets your body active and engaged, but also encourages your parent to talk, laugh, and share memories. Play music that they enjoyed when they were younger and let them tell you all of the memories that come up when they hear it. You can encourage your parent to go to a dance class with other seniors to further boost their social engagement, or you could just put on music at their house and dance while handling other tasks throughout the day. Challenge yourselves. Everyone has an innate sense of competitiveness, even if it is just wanting to prove to themselves that they can do something. Tap into this by challenging your parent, and yourself, to be more active in your regular life. Do little things like deciding how many parking spaces back from the store you will park and then increasing that the next time, or how many steps you can clock on your pedometer in a week. Have them shadow you. They might not be able to handle some of the tasks of taking care of their home, but that does not mean that they cannot be with you while you handle them. Encourage your parent to shadow you as you help them around the house so that you can get them a few extra steps each day. For example, have them walk outside with you while you take out the trash or come with you from room to room as you are gathering laundry. If you are concerned that your aging parent is not getting enough physical activity, it may be time for you to consider elderly care. 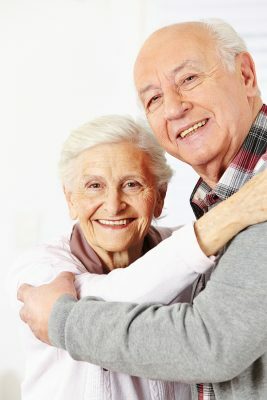 Having an elderly home care services provider in the home with your parent can help them to engage more with the world around them and live a more active, healthier, and more fulfilling lifestyle with a care approach tailored specifically to their needs. If you or an aging loved one are considering elderly care in Keyport, NJ, please contact the caring staff at Lares Home Care 1-800-781-7435 or 732-566-1112.